If using any special logos/images, please send via Etsy conversation. We will send proofs to review and approve before processing. 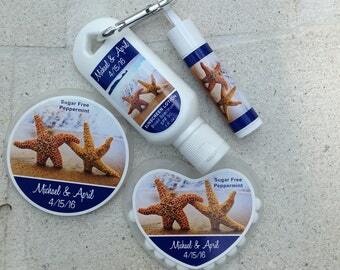 Our Deluxe Wedding/Event Favor Package is a combination of our top selling items. 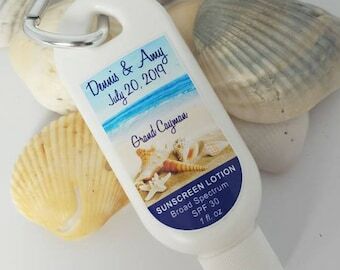 Perfect for birthday parties, wedding favors, destination wedding goodie/welcome bags, corporate/event gifts or any occasion! 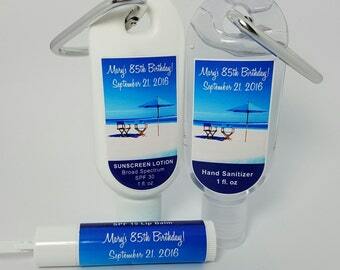 Labels are made of high quality, peel and stick waterproof vinyl and eco solvent inks. Inks will not bleed or run and labels stay adhered to the bottle when sitting in ice or water. 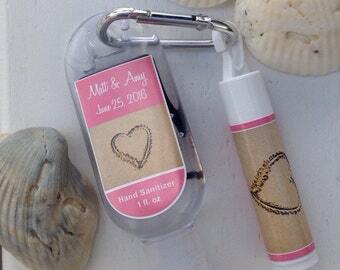 Each design shown can be customized with your choice of colors and text. Made with Vitamin E and Aloe Vera, this lip balm is made in America, FDA compliant and PABA free! EXTRA OPTION: Add on Organza White Mesh Gift Bags for a small additional fee. Ships flat. Proof will be provided via email within 24-48 hours of placing order. Order will not be printed and shipped until customer approval is received. No changes can be made once proof is approved. Orders are shipped 2-3 Day USPS Priority Mail. 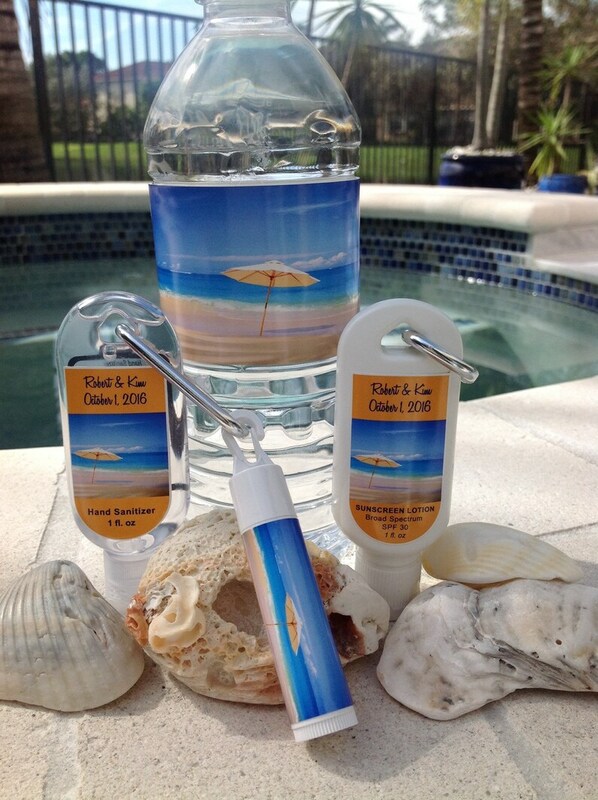 * Due to alcohol content, we can not ship hand sanitizer outside of U.S. Absolutely perfect! This is such a great little gift to hand out! 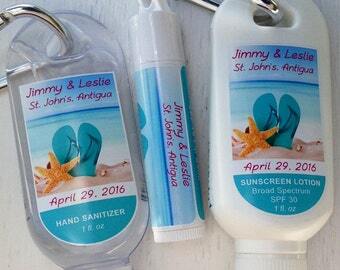 Great goodies to go in our guest bags.